A common question that people who are new to eLearning ask is, ‘What skills do I need to make great eLearning?’ Designing high-impact eLearning is a ‘Renaissance skill’. it takes a complex mixture of instructional design, visual communication design and media design. Workplaces are changing and L&D is struggling to keep up with new ways of working and the digital technologies that accompany them. An interactive webinar about how to implement a learning management system. 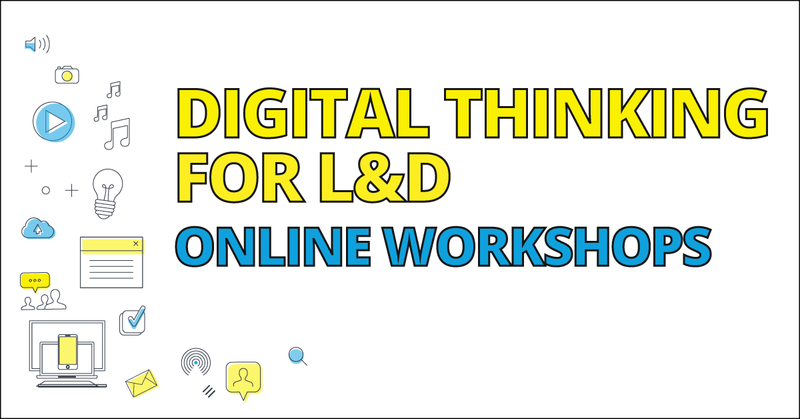 An interactive webinar that will help you develop a digital mindset to able to disrupt learning in your organisation. Real behaviour change is hard to achieve. Every year, organisations waste money on learning that doesn’t get transferred into real behaviour change. Learning campaigns are an approach to skill development that takes marketing strategies and applies them to the learning program. Digital technologies are disrupting the way we work. But it’s not the technologies that are causing the disruption, it’s what we do with them that’s creating change. It’s the thinking processes and mindsets around using technologies that hold the key.